When I read that spinach was the ingredient for cooks in the kitchen I got super excited! I love spinach. In fact I love most greens and I also love vegetables more than fruit! I don’t know if the cooks in the spinach (ha ha! I automatically wrote spinach instead of kitchen and I'm leaving it) really got into my head or what but I’m telling ya Dave and I have had a lot of spinach lately. There is no way in the land of spinach that I could just give you one recipe. So, I’m giving you several! Don’t worry. They are short and sweet. Some are borrowed recipes and some I just threw together with ingredients I had in my kitchen. Oh and you should know, I’m not one to measure. If you think a recipe sounds like it needs more bacon than what I added, then heck, add more bacon and so on and so forth. This okra is sooooo good! I’ve made a couple ginormous bowls and eaten it for lunch! Plus you get a ton of greens and vegetables in your diet! Do you like okra? If I'm going to eat a salad I usually load it with a ton of spinach. Spinach salads are so tasty because you really can just add whatever tasty ingredients sound good to you. I'll also tell you that if you add some tender meat and/or fruit to your salad you won't need dressing. It's that good! What's your favorite salad? My good friend Kirsten told me about green smoothies and I always cringed at the idea of putting spinach into my smoothie until I actually gave it a try. 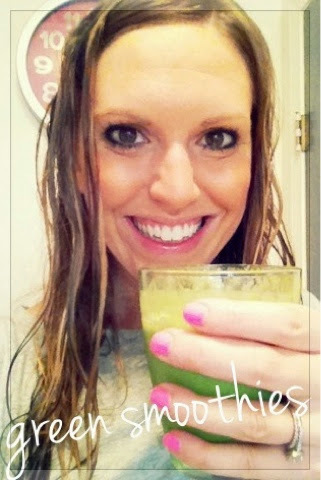 Green smoothies are delicious! A secret to smoothies is to freeze your fruit before hand. That way it's nice and cold and you won't have to add ice. If you are making a quiche throw a couple handfuls of spinach. You can’t really taste it and it’s an added health benefit. directions: place pie crust in pie dish | in a separate bowl whip together your eggs and cream and set aside | put spinach, bacon, green onion and cheese inside crust | pour egg mixture over | bake at 375 for approximately 30 minutes or until done. I made this kale citrus salad from the Pioneer Woman. I thought it was pretty good but I’m sad to say my husband didn’t love it. It’s full of kale and spinach and everything wonderful but apparently not everyone can eat raw kale and love it like I do. I never knew! If you try this recipe I’d go light on the jalapeño. Our mouths were on FIRE. That did not end up being short and sweet like I promised but that's ok! I loved writing all those recipes out and I hope you try some of them out. What's your favorite dish with spinach? The spinach, okra, hash and spinach salad looks amazing! I love spinach! I'm going to have to try these recipes out! Thanks for sharing! My friend just made me a spinach salad recipe - spinach (of course! ), red onion, cherry tomatoes, olive oil, balsamic vinaigrette, lemon juice, salt, and fresh ground pepper. So simple yet so good! Those are the best. 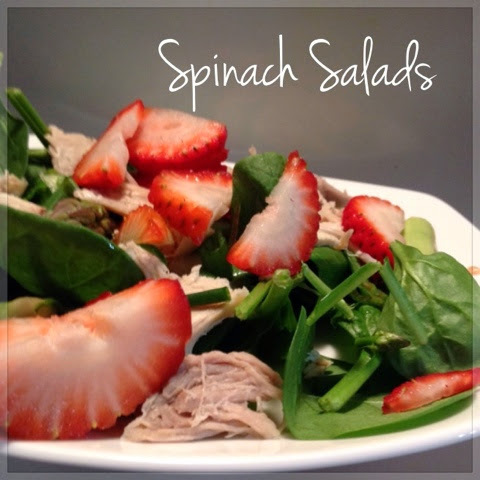 I love me a good spinach and strawberry salad, but I'm not convinced about not needing dressing if it has chicken. But it might be because I'm a little obsessed with my white chocolate vinaigrette recipe for it. I also like to put sesame seeds on my spinach salads! I had spinach for breakfast and these recipes are making me want to work it into lunch as well! I had it for breakfast too and I'm going to have it for lunch too! =) Hope you get to eat some more of it soon. So I do love spinach! Love My greens! I've been wanting to juice! Feeling inspired! Glad to hear you love it too! I haven't had much luck with juicing because it requires so much spinach BUT I do create a juice, throw it in the blender and then add my spinach. 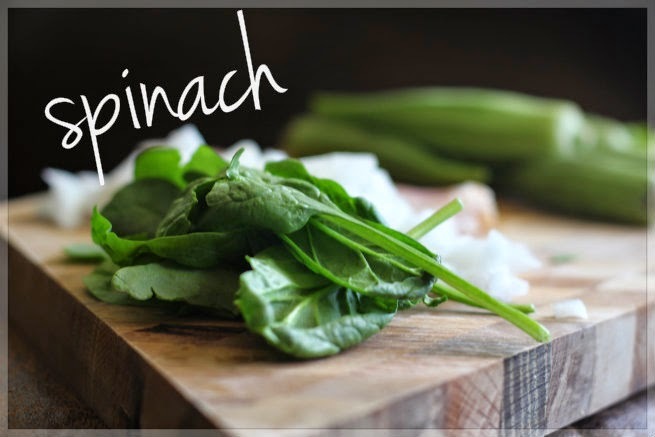 Do you have a good juice recipe with spinach? That's awesome and a great way to incorporate greens. I love love love spinach salads! One of my favorites is similar to yours. It has strawberries, brie cheese, pecans, and vinagrette dressing. Yum! I love that you included so many recipes! That is fantastic! I love spinach too, but I haven't yet figured out how to incorporate it in to more dishes so this is awesome! 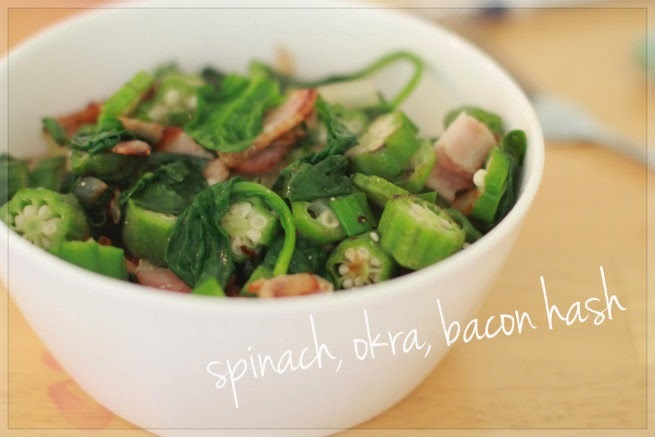 I looove spinach so I appreciate the wide variety of recipes you included here! 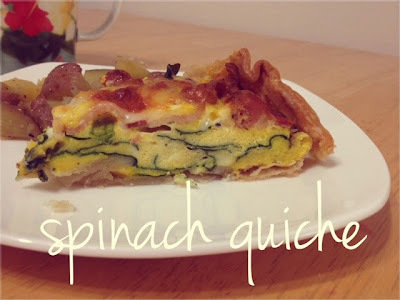 Quiche or frittata is one of my favorites for cooking down a ton of spinach. I'm glad someone else loves it a bunch too! Yes to the quiche and frittata. Ever since you posted about your frittata they have sounded so good! I need to make one soon.